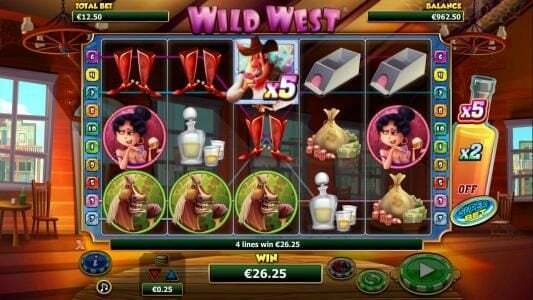 Slot review the Free Wild West slot designed by NextGen developers with 10 lines and 5 reels. 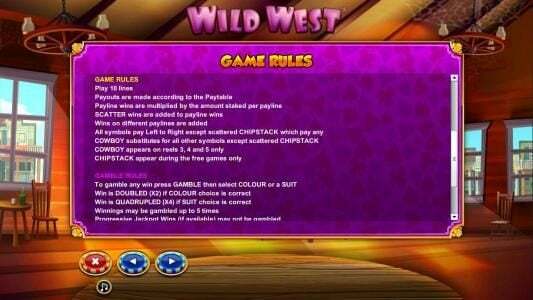 Wild West Slots has not been reviewed yet, be the first to rate this slot. 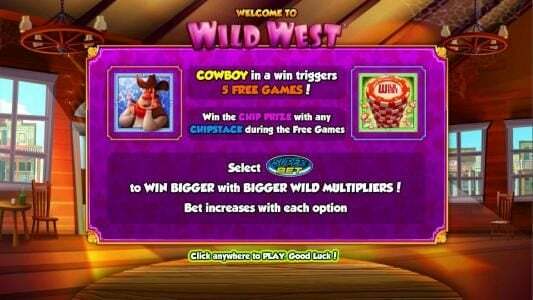 NextGen Gaming has recreated the Wild West in their 5 reel, 10 payline video Slot of the same name. 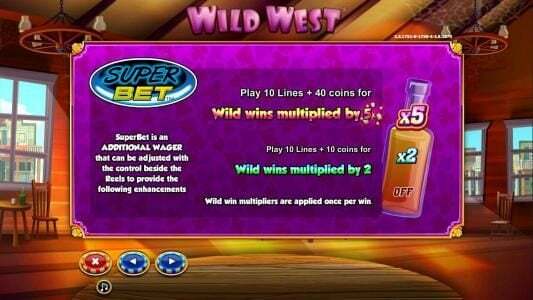 When traveling from saloon to saloon different features such as wilds, Free Spins, Bonus multipliers and scatters will be found. 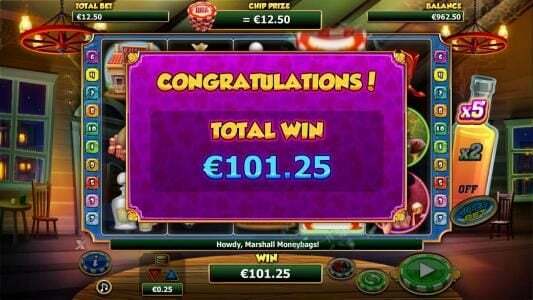 This game comes with a maximum win of $2,000 as its top pay. The background is vivid, bright and detailed in Wild West. Looking at this slot a large saloon is showcased, different tables with bottles of liquor and chairs can be seen as well as two other large buildings far off into the distance through the windows. 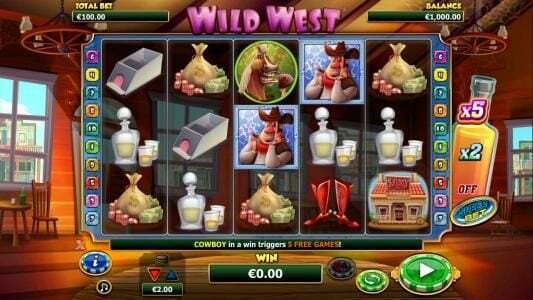 On the reels you will enjoy the likes of a cowboy, horse, bag of money, liquor, cowboy shoes, cute girl and a saloon. A minimum of $0.01 can be placed per line or a maximum of $2.00 per line. The cowboy is the one who represents the wild. 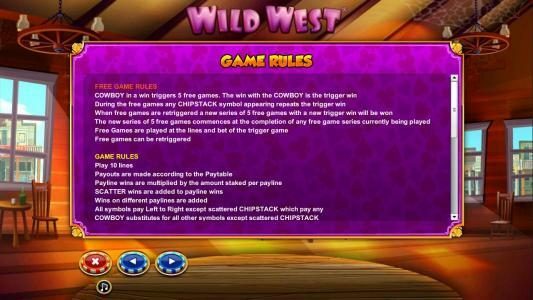 This cowboy will help wrangle in the wins as he matches all but the chip stack. 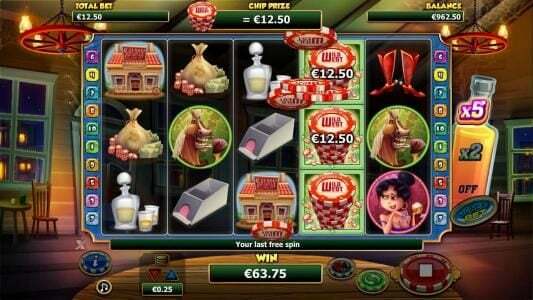 Once this feature has begun all symbols except for the chip stack will be matched. 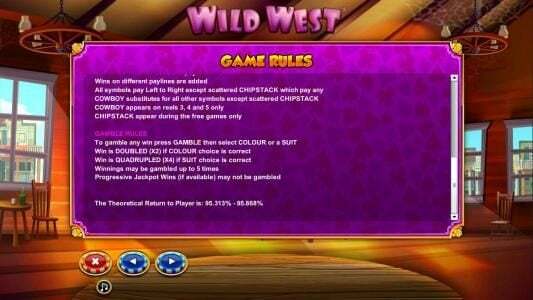 After a wild has been displayed, the reels will re-spin to attempt to increase your wins or see additional wilds fall into positon. Re-spins will continue until no others appear. In order to activate the free games feature you will need to see the cowboy assist with a win. 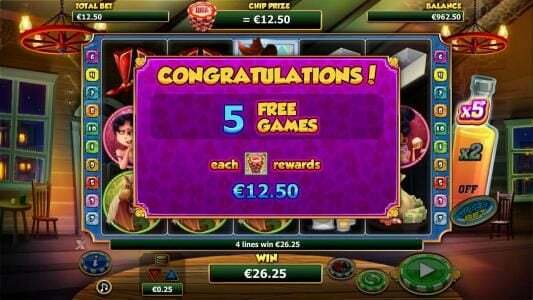 This will see 5 free games come your way with the chance to win the chip prize whenever a chip stack appears. The maximum amount that can be won as a result is $2,000. 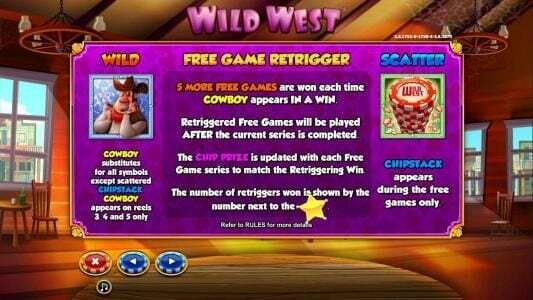 Any time another cowboy appears an extra 5 free games will be awarded. Cowboys only appear on the third, fourth and fifth reels. 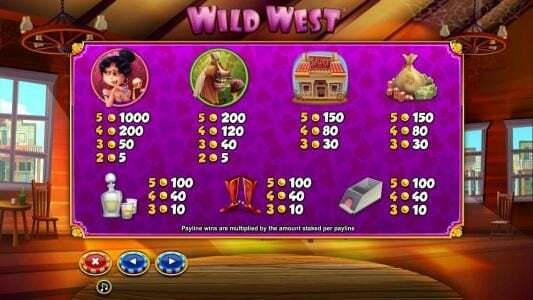 Wild West is a profitable slot that makes one feel as if they are in the Wild West, fending themselves off from different cowboys. The game features only enhance this theme further as large wins can be won. The images and overall setting is nice as are the quality of the graphics and animations that provide a fantastic wild west vibe.